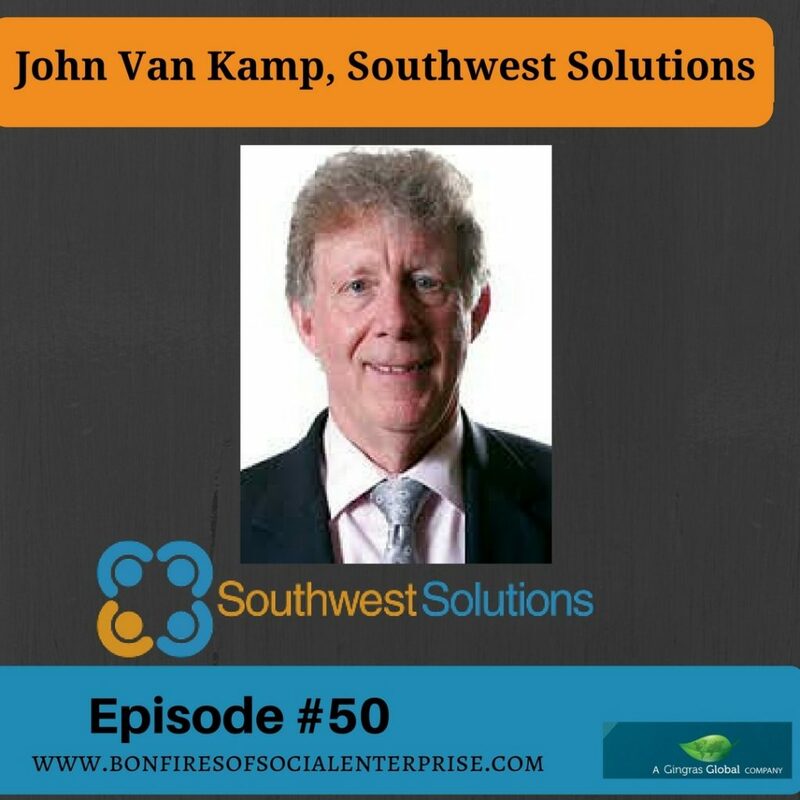 Romy interviews John Van Kamp of Southwest Solutions. John has been the leader and visionary of Southwest Solutions since 1973 and has successfully established a village of partners to address mental health issues. The incredible collaboration and partnering led initiatives into entrepreneurship and other related systemic change. This is an incredible story of community partnering and change! Romy: We are here with John Van Kamp at Southwest Solutions in Detroit, welcome John. John: Well, I’m very pleased to be here, thanks very much for coming here. John: And for this interview, I really appreciate. Romy: So, let's first give a feel of what Southwest solutions is. John: Sure, at this point and time we would see that we are a family of agencies that are in partnerships with others, working in Detroit’s neighborhoods. Both at the people level and at the place level. But it probably takes a story from the beginning, because when we started we had ten staff and we now have about five hundred. So, it’s a story of the evolution that brings sense as to what we are. Romy: Yeah, I really want to unpack this a little bit. Just real quick at a service level, you said you work with people and places in the neighborhoods, is it veterans mostly that you work with or all kinds, right? John: Yeah, it’s with all kinds. I mean, we really started in 1972 as a small community mental health agency. It was not long after the Kennedy administration had created the concept of community mental health and it put together a funding model for community mental health, and Monsignor Clement Kern and Rev. Bill Moldwin and Rev. George Veneto, by Faustino Romero, Snoal and others, saw the concept of community mental health and saw the dollars available. They did a lot of work, and we opened our doors in 1972, with a staff of ten and a budget of two hundred thousand. John: So that’s where we started. I shouldn’t say we because I didn’t start until 1973. I started as a grad student from Wayne State in the school of social work, community organizing and placed with the agency. But what attracted me and not only the clinicians but kind of some the community oriented people is that context of community mental health. It started with mental health rather than mental illness. So, the treatment of somebody’s mental illness is a key part of mental health but so is housing, so is healthcare. John: So is a job, so is education. All of those things are a part of, if you will, my emotional well-being or my mental health. John: But community mental health, what they realized is that because of the myths and the stereotypes and the stigma about mental illness, those community values are in a community and people either open them up or don’t. John: So they divided the country into catchment areas to implant a community mental health agency in each. So you could work in a community context to have the community open up their values to their brothers and sisters who had a mental illness. So we started at the very beginning. John: Creating a system of care for people with mental illness. What that meant is we came to the table, providing treatment services, but we had to find healthcare. We had to find housing; we had to find workforce development. And in that, some things we partnered, and some things we did ourselves. But when you realize you can create a system of care for a vulnerable population, you could do it for another population. And maybe that’s the first evolution of business thinking. John: Right? Wow, we could create a system of care for people with mental illness. We can also do it for people who are homeless. John: So we and our partners then created a pretty comprehensive array of services for people that are homeless. Well, then we realized when another opportunity came along, we could do it for kids in the juvenile justice system. So, you see kind of a business model? John: You started one, but you see your line of business applies to others. So, for the last fifteen years in partnerships with the Down River guidance center, we have created a very comprehensive system for kids in the juvenile justice system. And then, about twenty years ago we started working with children, with parents, with very young children. So, we entered that space of early childhood development but what we saw there when we entered in, if you just work on the kids, you’ll go so far, but if you work with the whole family if you are as focused on the mom and the dad. John: Or the aunt and the uncle, that impacts the child. John: Okay, so, we created a system of care for families with young children. John: How do we help mom? Maybe mom is working, for a company, and that company moves out of Detroit, and the skillset she has is not now, what's needed in the marketplace. So, how do we help her with her math skills or her English skills, or to get the next elevation of a job that she wants? So we started looking at things pretty comprehensively, does that makes sense how I’m trying to describe it? Romy: Yeah, as I keep listening to you in those two or three scenarios, it’s like you are looking at all of the factors that are affecting, I guess what I would call the beneficiary you are trying to help. Romy: And setting up an infrastructure around them and almost a village type way with these partners, right? John: Yeah, yeah. We use the villages a lot. John: We talk about, at some level, what are we trying to create? We believe that community is an intervention. Romy: Yes, I believe that too. John: Okay, and that village is an intervention. John: Yeah, in other words, that village works. I don’t know if they talk about governmental structures or families, but that village works because everyone is centered on the success of everyone in that village. John: Well, that’s a community. John: But what we realize is, you can’t just focus on the person, you need also to focus on the place. In other words, what is the condition of housing, what’s happening in your neighborhood as well as with you as a Neighbor? So, we are vested in the success of the individuals and the success of neighborhoods, is that so? John: Kind of the integrated wellness between the wellness of people and the wellness of place. Romy: You’ve done something that many try to do, and you’ve done this well. You have partnered with these organizations and created stability. Romy: Many tell me in the field, “Gosh, Romy, I’ve tried to do that but it’s unstable, I can’t depend on that partner’s thing.” You have so successfully built this infrastructure or partnerships and kept the community together. John: Yeah, I mean, trust me, we’ve had a lot of lessons learned. We’ve probably had as many failures as we have success, but we learn from the failure. But let's take healthcare, okay. Very early on, we saw studies coming out of national institute of mental health that said, people with severe mental illness, die twenty-five years earlier than the general population. John: so, wow, then I want to meet them. John: And the first place you start is, is there alignment and mission, vision and values? John: So you spend a lot of time at that. John: Because when you are in a true partnership, you are probably equally, if not more vested in their success than your success, so when you can get to that point. John: You know, vested in your partner, it comes back to you, all right? John: So, we were fortunate to have a covenant was at the time was a free clinic. So we worked with them, till now they have very significant funding. They have over a hundred staff, they are in seven locations around the city, but they started with us. Romy: So they grew with you? Romy: Your intention wasn’t just to take, it was to help them grow as well? John: But they are in all of our buildings where we are working with our clients, they are in our buildings and an integrated kind of model. That’s an example of a partnership that works. John: Because we are vested in their success, they are vested in ours. John: But we are drawn together by a common mission, vision, and values. Romy: Yes, yes, that’s great … I’m going to make sure I highlight that word on there for everybody. John: So there are a couple of examples, of social entrepreneurship, that I think highlights again, another example of partnerships. A number of years ago I had a sabbatical from the McGregor Foundation. John: And it allowed me to go around the country looking best practices. John: And I asked people where I should go. So I asked Rip Rapson, from The Kresge Foundation where I should go. He said, “John, you ought to go to Minneapolis,” where he was a former deputy mayor. John: And he said, “Look at neighborhood development corporation.” He said, “They have the best social entrepreneurship program in the country. John: So they can now show the thousands of jobs created, the millions of dollars of property tax paid, and personal income tax. I mean, those are the measures you want to look at, right? John: As a community to look at that. So, probably better than might go in there and seen it, is it Steve Tobocman, also when, on his own? So Steve brought them to Detroit and brought the foundation community to take a look at what the neighborhood development corporation had done. And they said, “We want to fund it.” see, Steve said, “Okay while you are at it, do it through Southwest.” But the model is one where we look for a community partner, that community partner could be a church. It could be a non-profit organization; it could be a group, but they are known in their community. They are known in the Latino community or the Arab community or the monk community, or in East side Detroit or in Asb, they are known, they are trusted by the residents there. So then we partnered with them, we bring the skill sets, we bring the twenty hours of individual and group training. We bring the business model and the coaching and the TA, but then we do it with you, in your language. John: By people who speak your language, by people who look like you in your community, to that trusted community partner. Prosper Us is the name of our business. A lot of people don’t even know that Southwest started it. John: Because we have it allowed to be owned so much by our community partners. John: But we’ve now had over four hundred and sixty graduates, from that in just three and a half years. People are now starting their own businesses, getting loans, we have a micro-lending program in there, character-based loans. So there is an example of, starting off being a mental health agency, gets into social entrepreneurialism which is a social enterprise I don’t know if itself. Romy: It is, and you continue to keep solving and strengthening the ecosystem by bringing in all of these connection points. Romy: That eventually lead to mental health if they are not solved, right? John: Yeah. We are now about the mental health of the community. John: And I think overtime we have evolved into working in neighborhoods, around the city, with neighbors and neighborhoods. Our neighborhood with our partners is Southwest Detroit. It’s going to take us and our partners ten, fifteen, twenty years to make Southwest Detroit, the eighty thousand people who live here, intentionally a place that people want to live, work, play, pray and all of that. John: It will take us a while, but some of what we do, the fact that we do mortgage lending, the fact that we do workforce development and prosperous, we can do in your community, we can do in other communities around the city. So in fact, we probably are in more neighborhoods, around the city than just about any other NGO. Romy: So, for us, that’s relatable when you are outside of the US, but Southwest solutions are so well known, they even know it in other parts of the state and other parts of the Midwest. Romy: It’s really viewed as an anchor organization and a model that others would like to achieve and follow. John: Well, a number of years, I didn’t know how to describe our agency, community mental health didn’t seem, when you are into housing, you, are mortgage lending, or workforce development and early childhood, it didn’t seem to lend itself to a label, but I went to a Whitehouse conference. Fairly small but it was, how do you turn distressed neighborhoods into neighborhoods of opportunity. One of the panels was phenomenal. There were assistant secretaries of state of HOD, HHS, education, justice, treasury. John: And seniors leaders from the Whitehouse, all in the same panel. But that wasn’t the best part, the best part as they admitted and this is only five years ago. They said. Finally, we are speaking from the same PowerPoint. John: In other words, before that, education would say, “Here is what we are doing in this, you know, distressed community.” And what they realized, that it took an integrated approach among all of what they did, to work it. And they were talking about forty blocks in Baltimore or sixteen in Cleveland or two hundred in Chicago. In Detroit we are talking, many, many neighborhoods surround, around the city. So, what it takes is a comprehensive human development approach, which is an education in early childhood and healthcare and workforce development, financial coaching and all, a comprehensive human development approach. At the same time a comprehensive community economic development approach, which is housing and commercial development and banking and entrepreneurship in small business. And at the same time you have to have that resident voice from those neighborhoods, guiding what they want to have and the changes and the opportunities created. So, you see, there is no governmental entity that does all of that. There is no NGO that does all of that. It’s kind of a collective impact model of how do you get all of those aligned in a neighborhood to create neighborhoods of opportunity. Romy: It’s almost a combination of a cooperative, you had partnerships. Romy: But the best of all of those is whats actually happening here. John: There is an economic development model that, during that sabbatical. And it came out of San Diego. Market Creek Plaza, and they’ve had some lessons learned and some challenges, but they were one of the first to do it. John: There was the Jacobs family foundation in downtown San Diego. We are giving out about a million in a year. And they realized they weren’t, changing the world. So they decided to move to the most challenging part of San Diego and lead a resident led resident-driven economic development project. Well, so I went out there and I looked at what they did. I looked at the lessons learned. I got some guidance from them but then came back and with help from the Skillman Foundation, we found an area that would make all kinds of commercial sets. Another instance where eighty thousand cars were traveling on the expressway, in a day and ten thousand, coming across from Canada. So, we knew that that was going to be developed but, that a CVS or gas station or Wendy’s would move in, and those are nice. But that’s not what neighbors want. So, The Skillman Foundation gave us enough money and we hired residents, and we did seven hundred face to face interviews. John: Yeah, that is a lot. John: Yeah, but the data that you gather when you do, especially when you hire residents to interview other residents, now that’s where they are spending their money. What businesses, you know, that they are going outside, that they would like to have here, what would keep them here? John: So, they designed a survey, they implemented it. Now we are armed with, what they want regarding economic development in their neighborhood. Now we are looking for dollars to buy the property. And the create development opportunities, based on what residents want. Well, that’s an economic development model that ought to be replicated throughout the city and the state. Romy: Has decided it’s good for them, right? Romy: In that voice message, right? John: So, yeah, that’s what I love about it. We are still working at it, it’s a work in progress. John: But, I think one of the things we look to be is early adapters of other people’s best practices. In other words, we are non-innovators, we don’t conceptualize something. John: But we look at, how can we learn from the best practices there and through partnerships created, in the neighborhoods that we are working? Romy: Well, that stays with and honors your theme of community. Romy: Because you by default become a bigger community when you are learning from each other. John: Yeah, yeah, yeah, yeah, yeah. Romy: (Laughs), it’s networks here if you will, to other cities that are already doing some learning. John: Another example, is one that united way and risk, brought to the community, just about ten years ago is called the center for working family. it’s a concept quite frankly that was born by the Annie E Casey, a children’s foundation. John: Said that we need to work at creating centers for working families, but the Annie Casey Foundation found that if you work at the economic viability of the parents, that’s going to have as much impact on that child as they lesson plan that that kid has in third grade. John: Does that makes sense? Yeah. Romy: They are watching a role model. John: So, it’s integrated three different platforms, one is financial coaching. And they have shown that if you do a tailor made individual, financial coaching one on one with a lower moderate income person, as a percent of wealth created, you are going to create more wealth for that person than a high net-worth person. A high net-worth person there you are helping them with their investment. And a lower moderate income kind of person, you are looking at their spending, you are looking at their use of payday loans. You are looking at what they are buying or not buying. And you are restructuring their debt so that they can start to create savings and start to build assets in a home, in whatever. John: That's, well, as a percent of wealth created for them, that’s a far greater percent of wealth created. John: So financial coaching is one of the delayed, individualized financial coaching. Second is public and private benefits. Most people do not know all of the public and private benefits to which they are eligible. So, it’s knowledge of all of the public and private benefits, and the third is workforce development. How do you take whatever you were in your career, in your workforce career and how do you work for you to move up that ladder? On your job and on your career. Well, if you put all those together, now that’s the center for working family. And that’s what you are not away, when they first brought to town the concept, they asked a few of us to come in and say, “What do you think?” We’ll, we were in early childhood at the time and we saw the opportunity to work with their parents. So you jump in. So, that’s an early adapter of other people’s best practices. Romy: Yeah. What’s one of the things that really surprised you about, either how well a collaboration worked, it went beyond your imagination if you will? John: Because, if we show them that it worked at Minneapolis, they could easily discount as Minneapolis. You don’t have the same challenges that we do. John: So, we look for that trusted community partner. And when they see the model that we can bring entrepreneurship to them, they are all in. so I think, Prosper Us a shiny stuff for Detroit and for what you can do through collaborations. Romy: And Prosper Us is early stage business, teaching about business start-up? John: Yeah, Prosper Us is like, I’m making tacos in my basement. Or, I’ve got an idea on a hair salon, or I want to start a landscape business, but I don’t know how to write a business plan. I don’t know how to get the financing. I don’t know how to do the marketing. I don’t know what are all the steps and study. So we do one on one about half of the twenty sessions are one on one, and half are group sessions. Then you get to the point you passed, do you graduate in your business plan? And then we get you advisors who stay with you as you are growing your business. John: Then we make micro loans available to you, character based loans. The beauty of the model right in a neighborhood development corporation. I talk to them a lot because they come in every six months or we go there and learn from them. John: Um, but they look at their loan loss, and they are in, I’m thinking I’m pretty close to being right. Like a 6-9%. John: They say, if they are too much under 6%, then they are too close to a bank, and they are not taking enough risk. If they are 10% or more, well, maybe they are not. So, the very fact that they want to be in this place that takes enough risk but not too much risk, that’s the place where we want to be. John: Because the system is there for people, where there is no risk. John: And then work with you too be invested in your success. Romy: Coming out of the financial industry for twenty three years, prior to doing what I’m doing now, so many peoples achieve success in their careers and I’ve met a lot of folks who made their wealth and their businesses and that, and they’d almost hit this point during their lives sometimes, usually after the fifties, where they’d feel unfulfilled. Romy: And I’m sitting here in front of you and you are the opposite of this. You look like you are ready to take off on dynamite, from all over. Romy: Fulfillment that’s bubbling out of you. I’m almost distracted by this question of like what’s on your heart for grand plan? I feel like you’ve got plans that are bouncing around your head and your heart. What, could you do? John: Well, I’m really wanting to work with others on Detroit’s neighborhoods. In other words, if you look at downtown and midtown, and you look at the trajectory it’s on, it’s phenomenal. John: But twenty years ago when they first started looking at the river front. The cement plans and all. When they looked Woodward avenue, when they looked at the campus mansions, but they started those plans way back. And who was at the table? Government was at the table, the heads, the titans of the industry were at the table, banks, they were at the table, philanthropy, the heads of philanthropy, and they created a common vision and a common agenda. So they started aligning themselves on a plan for downtown and then midtown. Well, we need to do the same, and they had key anchors, the key anchors of the Henry Ford hospital, of the DIA, the DMC, all of these key anchors. So our challenge, that excites me is, how do you do that in neighborhoods? There is an emerging model that they call collective impact. John: So collective impact was first coined as a term by the publication stand for social review, about five years ago. They looked around the country and they saw examples of some real significant change that was a typical. They looked at Cincinnati and they saw how in Cincinnati, the community around saw that the high school graduation rate was really poor. And, they knew that if they went back to the education industry alone, and put pressure on them, it would only be modular improvement. And, primarily in this case it was driven by the business community but the business community was vested in improving the highs school graduation rate because that created the talent that they need, that kept businesses there, that drew more business. So, the business community came to the table and then they brought others to the table who were vested in changing high school graduation rate. The real estate community would be vested in that. Right, the faith based community, that’s their congregation, they are leaving and they are coming. So they, brought all of the parties who were vested in that, and had change in high school grade and they created a common vision. Then a common agenda and then they created metrics to see how we are improving. And they were public about it. What it allowed was for each entity to stay in their lane, so the business community could stay in their lane, the faith based could stay in their lane. But they started seeing how their lane could, if combined with other people’s lanes could, begin to change the trajectory of high school education. John: And they did it. Strive is the organization that came out of Cincinnati. You can look at that. John: They can show phenomenal success with not much new money, but more alignment. Well, then the stand for social review looked at New Hampshire. And I’m not sure whether it was Manchester, or somewhere in New Hampshire, where it was childhood obesity. There was very high childhood obesity and if you went back to the primary care system and put a little pressure, they could do a little bit but if you get alignment, of a different party from girl scouts to boys scouts, to the sports community. You look for, who really is vested in that chain? You get them around and you create a common vision, an agenda. They can stay in their lane. 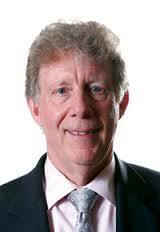 Well, it was David Campbell, the late David Campbell from the McGregor Foundation. I’m sorry, it’s hard for me. John: He said, “John, what you guys and your partners are doing, you are taking a collective impact approach to neighborhoods. How do you get at a neighborhood level, how do you get alignment of government, of business, of philanthropy, of NGOs and of residents? To create a common vision around that neighborhood, to create a common agenda around that?” That’s what excites me, that’s the next step of what we are wanting to do. You know, it’s not our model, we are doing it with others and we are trying to do it here in Southwest Detroit with many partners but, this could be done anywhere in Detroit. John: But it takes that kind of, a momentum to really, create neighborhoods of opportunity across the city. Romy: Mmh, and patience and grace. John: Yeah, yeah. They said, it takes ten, twelve years. John: Yeah, so it’s persistence and consistence, patience and grace. John: And finding right partners. John: Yes, persistence, and knowing they are going to be set backs, and you got to be prepared for them. Romy: Right, right, right, slow doesn’t mean, you become a victim. Romy: It’s a dogged determination more like. John: (Laugh), persistenting, persistent yes. Romy: How would you handle the neighborhood pieces when, in many cases in the Detroit neighborhoods there isn’t business already. Romy: And there isn’t, and you and I both know in some of the neighborhoods, some of the residents in the neighborhoods feel almost sequestered there. Romy: Or, virtually fenced in. Romy: Because of opportunity that they have not felt they’ve had, so really it’s bringing in all of these parties and partnerships or the governments, the businesses from the outside which is a delicate conversation, right? John: Yeah, one of the things that going in Detroit future city, took the first phenomenal step in recognizing that there is a future for every neighborhood but they are many of them are more different. Some are going to be heavily populated, some might end up in parks. That’s a tough transition because if I’m in a neighborhood that overtime has had a lot of disinvestment I’ve still been there, but, others kind of say, “You know, we need to transition that into, into park and other kinds of things.” That’s a tough choice, those decisions, we can’t afford. We are not addressing. That’s really up to city leadership and others to make choices. John: Talk about the lack of alignment. John: So, there has got to be alignment. and, by government, making decisions, that’s the mayor, the city council and all the players in that. And then, philanthropy needs to align up with that, business will follow because business wants to go, where there are people and whatever and then bring in the residents to, the nonprofit agencies, the NGOs, and the residents to the table. That’s a commitment that is often not kept and it’s tough because we come from, fighting for our own little bit and now we are needed to collaborate. But, we work through that. If you listen well, if you bring their voice to the table, in an honored kind of way. John: They’ll begin to see that and buy into that. Romy: And you said at the end of the day it’s about building relational trust. John: Yeah it is, yeah. Romy: They are human hearts on every side. Romy: Of the spectrum here. John: I mean, the success of Detroit, I love that, it’s a place now that people are moving into. I love that. My wife Penny Bailer and I, we live right close to downtown, so we see that resurgence. But we need to vested in Detroiters. John: the Detroiters who have been here, and that’s our success as, are they staying, are they growing? John: Are they creating the opportunities for their families to enhance their well-being? That’s, that’ll be our success and the mayor says that. Mayor says success of Detroit is our overall population. Well, that’s in the neighborhoods, are we going up or down? Romy: Right, well, I’m almost speechless, which is hard to happen. Romy: (Laugh), is there anything else you want to share? John: Well, I appreciate your doing this, your story here. Here you had a career, but you had this passion over here. and you got to persistent and consistent Romy. So, I give you, because you could have early on. But I think, people do want to hear these stories. Romy: And we are finding, people are inspired by the large and the small. Romy: It’s a courage that human beings are having and in your position and others but it does the take the common denominator is this courageous determination. Romy: To stay focused on them. Romy: Not that we don’t all get discouraged here and there. Romy: But I’m even noticing, in the last two or three years, we are having common denominator conversations just around funding communities. Romy: Around one small little, retail business. Romy: We’ve got a foundation or bank, a governmental agency and traditional investors all. Romy: Considering a transaction in the same entity. John: Ways that people can now get involved. Romy: Yeah, so the opportunity, the timing today. Romy: Given the mentality of collaboration. Romy: And avoiding the slippery slope of enabling. Romy: That’s always that point, that we’ll are going to keep ourselves on. Romy: And it’s just this beautiful thing and I really believe, that more and more creativity and innovation can come out of places when people stop and pay attention to each other. Romy: And maybe keep a journal of what’s happening here. John: (Laughing) I would love to, I would love to, sure, sure. Romy: That would be really interesting. John: Okay, I’d be very happy to, I’m honored. Romy: Okay, that’d be great. Well, thank you so much.